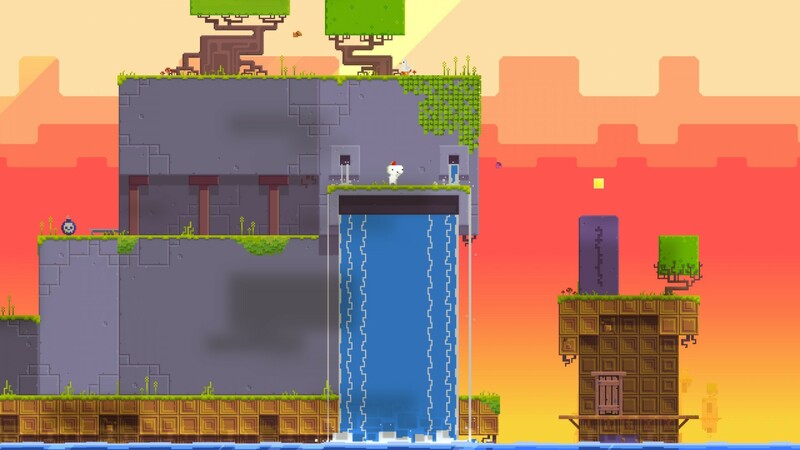 It might be five years old, but Fez remains a masterclass in indie puzzle-platforming. The bright pixel art, the mesmerizing Disasterpiece soundtrack and perspective-shifting gameplay comes together in a wonderfully mysterious and serene collectathon. Following its release on Xbox 360, PC, Mac and various PlayStation hardware, Polytron is bringing the game to iOS. In a short teaser trailer, the eyepatch-wielding Geezer tells Gomez, the main character, how the "adventure is ready." A flashy cube appears in the sky, before the entire scene pans out to reveal the game running on an iPad. So yeah, you can expect a tablet-optimized version. Fez was an important title for the indie game community, promoting the sort of wonder and puzzle design that demands paper, pen and endless pages of forum discussion. At first blush, the game's allure is in its 2D-but-3D game design. A platform might look out of reach, but flipping the world by 90, 180 or 270 degrees would suddenly reveal a new route. It was smart and imaginative, rewarding players who could visualize and plan ahead. Underneath, however, was a greater set of mysteries involving cyphers and codes. Some of which people are still discussing and theorizing over. To go any further would spoil the game's numerous surprises. Fez will also be remembered for its controversial designer Phil Fish, who starred in the 2012 documentary Indie Game: The Movie. His portrayal and subsequent comments, which included a takedown of Japanese game developers, triggered an internet firestorm, the cancellation of Fez II and Fish's ultimate exit from the video game industry. Despite this drama, Fez is a wonderful title that deserves your attention. How the controls will work on iOS remains a mystery -- swiping to change the camera angle seems logical, but how that will play with tap-based platforming remains a concern.